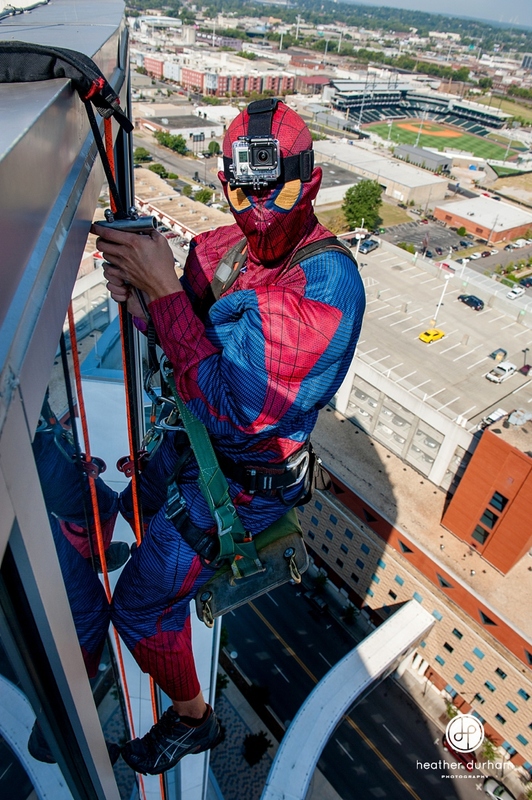 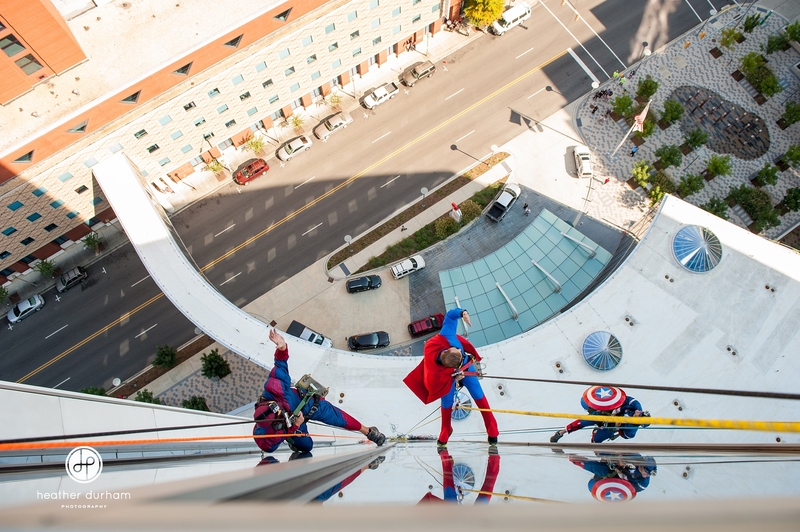 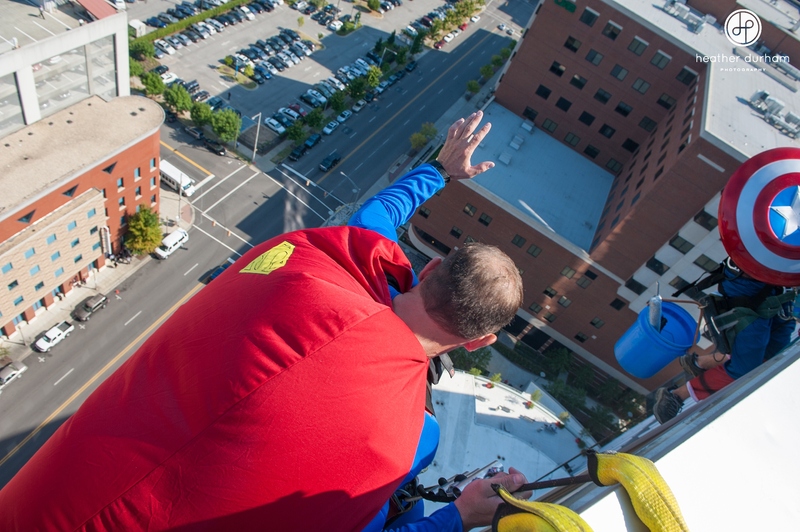 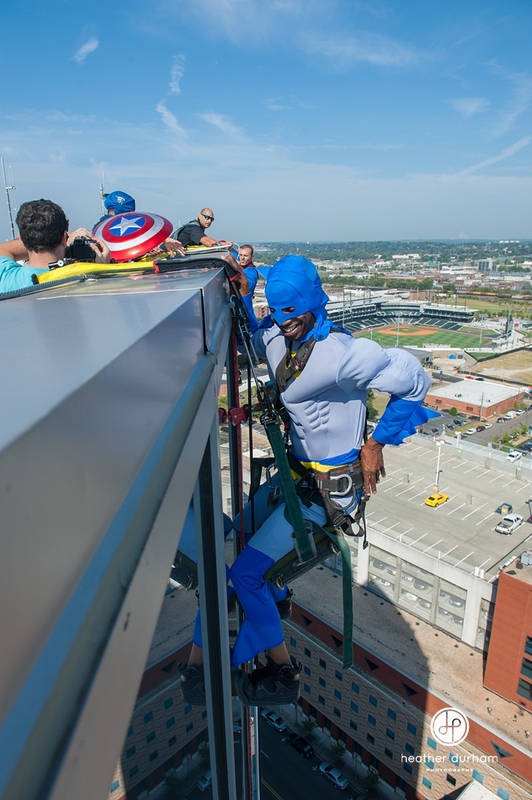 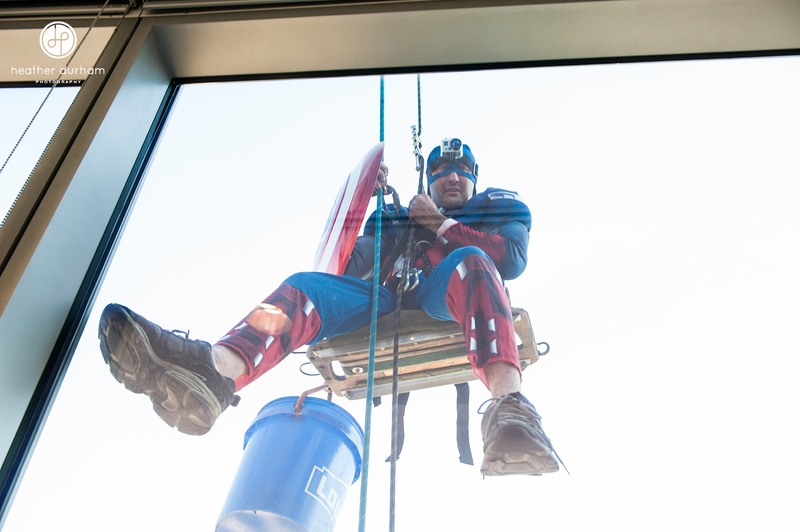 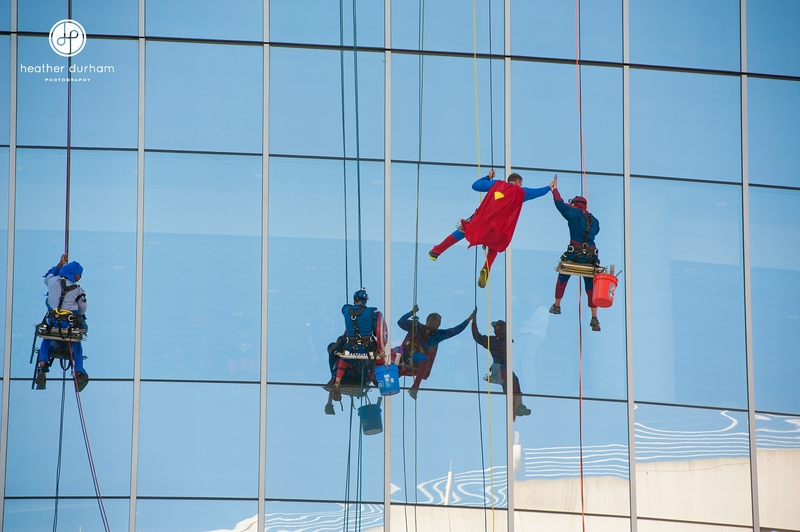 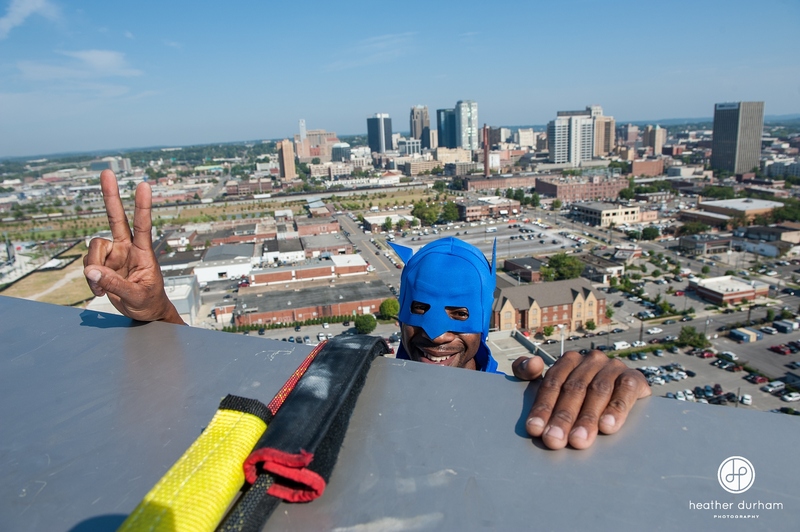 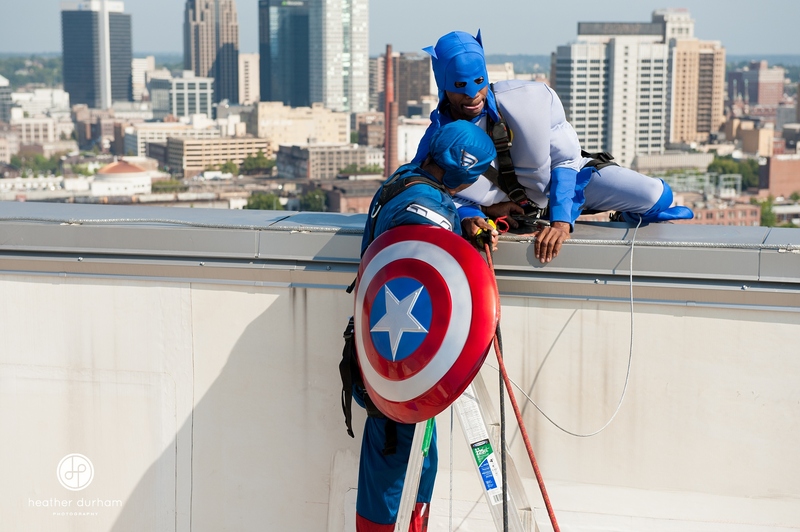 These window washers from Squeegee Clean in Chelsea, dressed up in Super Hero costumes to scale down Children’s Hospital of Alabama and drop in front of patient windows and waiting areas to bring a little cheer. 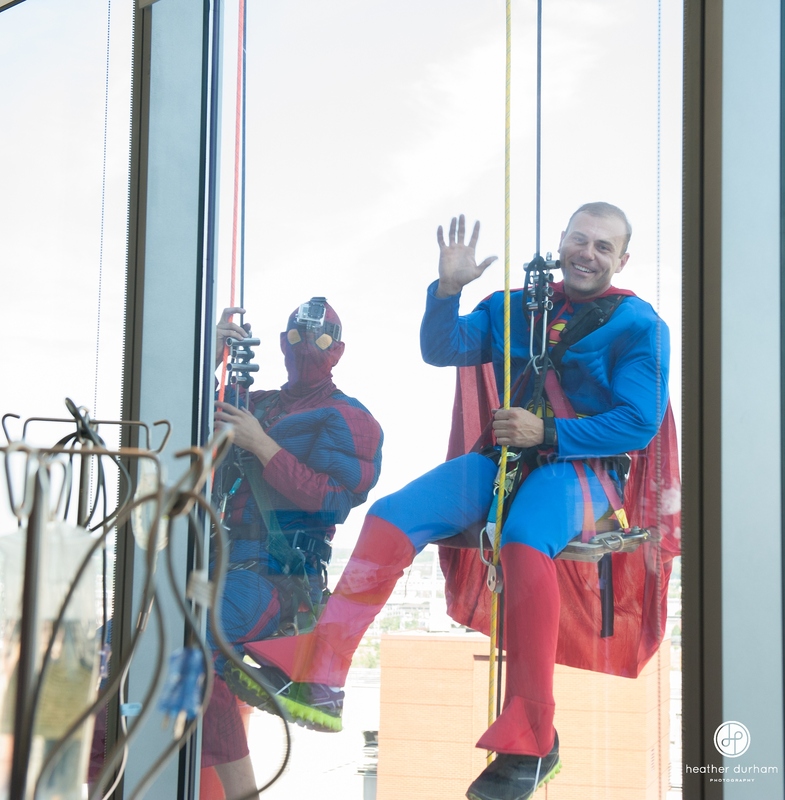 They did a fabulous job, fist bumping patients and blowing kisses to the little ones through the window glass! 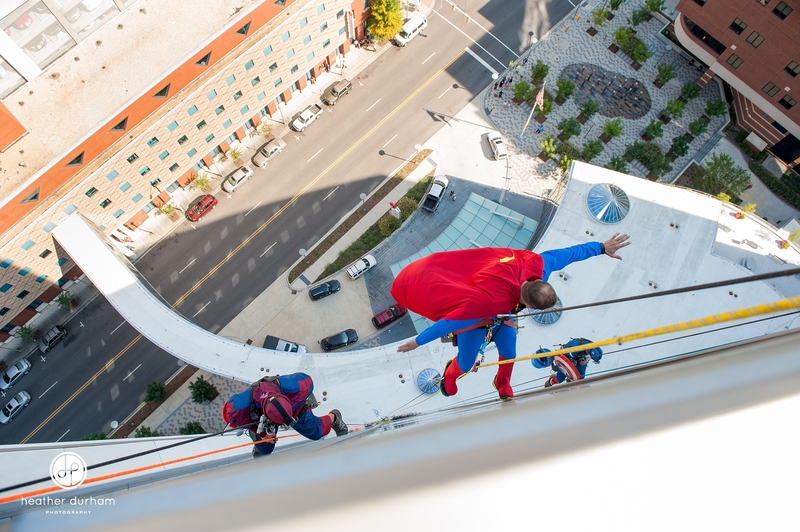 I’m not posting any images with the patients out of respect for their privacy; so you’ll just have to trust me that the looks on the children’s faces were priceless!! 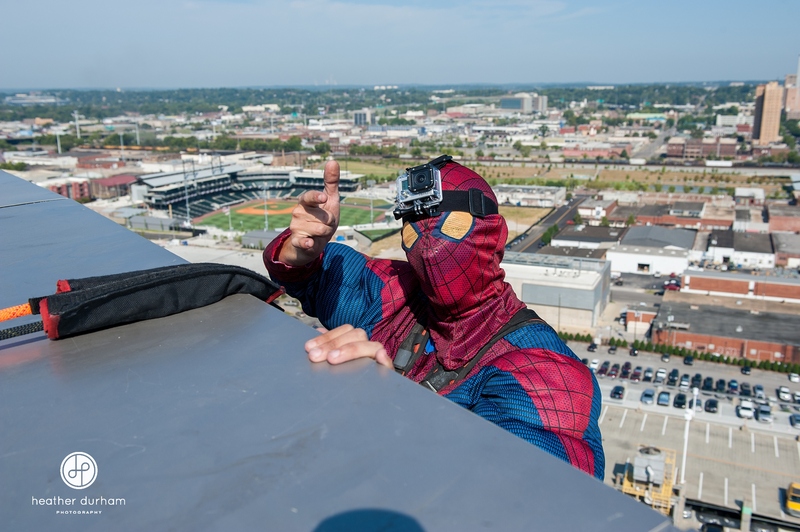 The story even made national news. 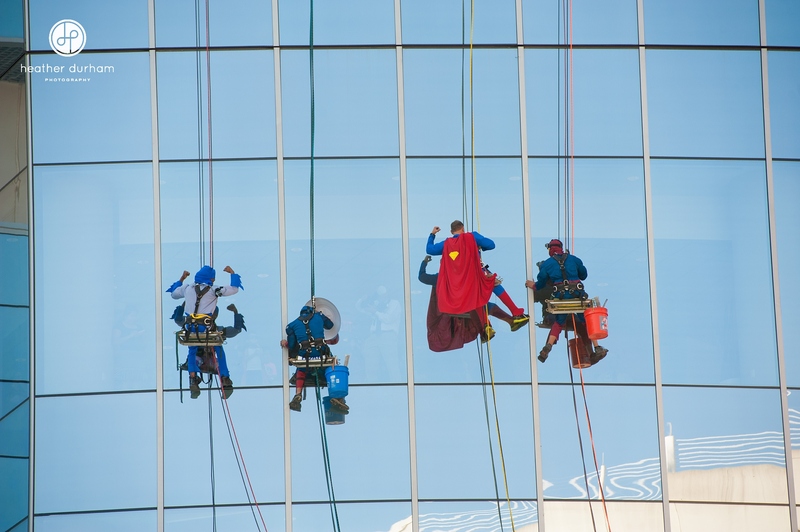 Here it is featured on the Today show and some of the images in The Huffington Post. 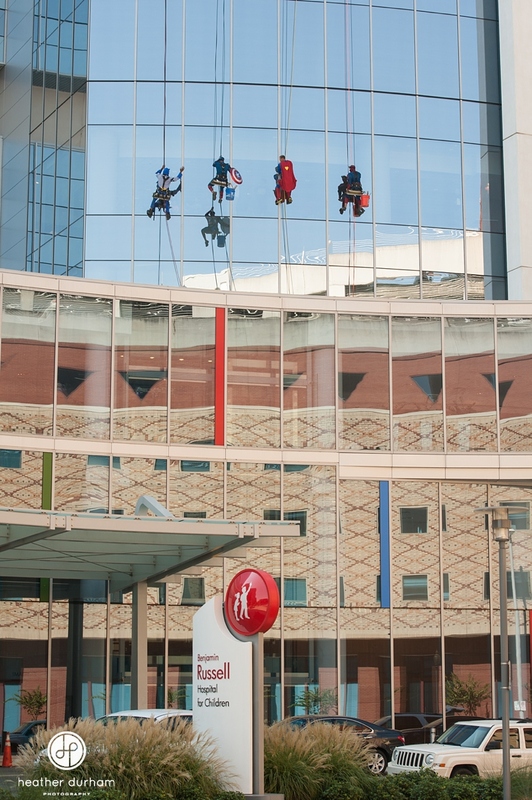 Children’s of Alabama doctors, staff and nurses are the true heroes! 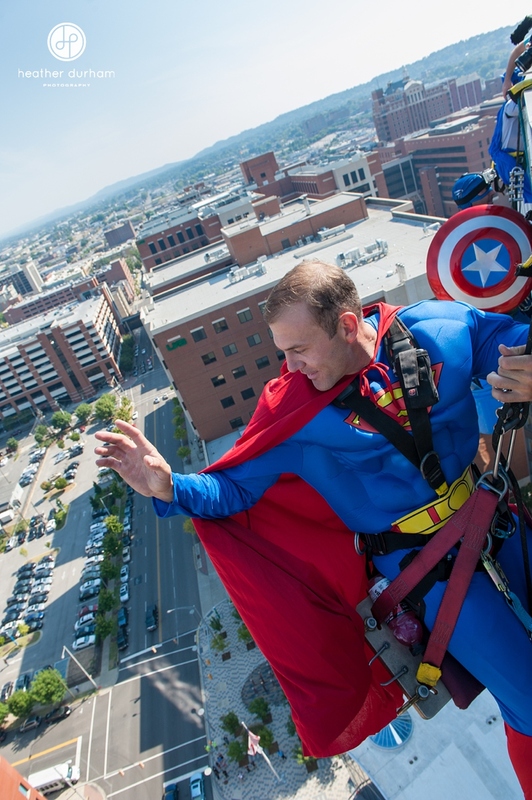 Such a fun day for those kids…and us big kids too! 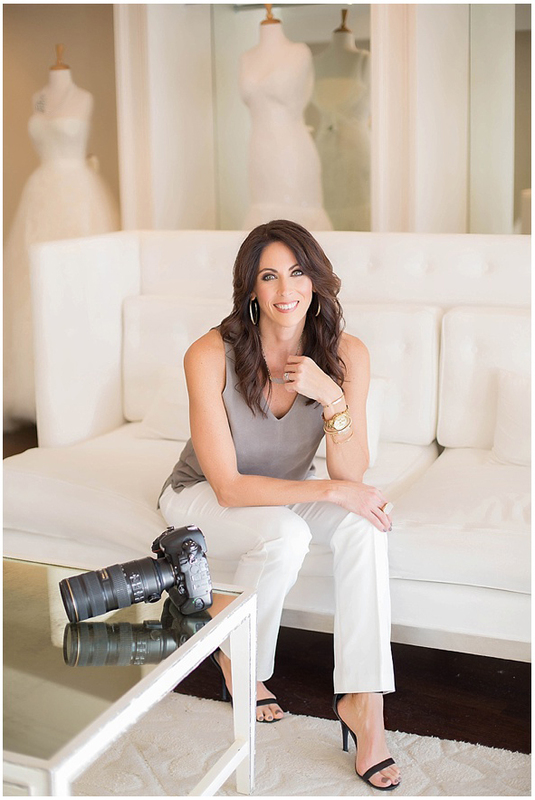 I’m so grateful to be asked to capture it! 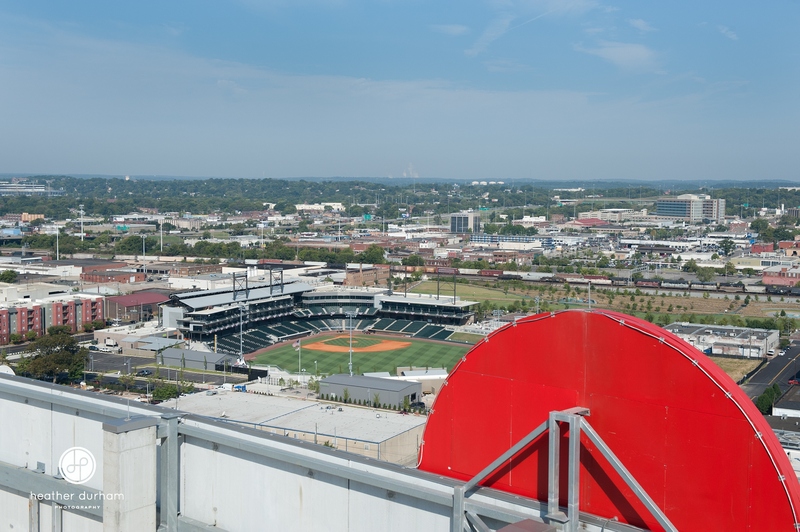 And…as a side note…the view of Birmingham from behind the big, red, circle logo on the hospital rooftop is pretty fabulous!